Dealt with Lisa who was very empathetic and professional . Everything thing is explained clearly in a lovely way. I can highly recommend using them all I can say is they are brilliant. I can’t thank this organisation enough for the way that it handles my uncles funeral. From start to finish the service was excellent, personal, professional and generally outstanding. Nothing was too much trouble and there was an attention to detail that was second to none. Geraint in particular, made a very upsetting and stressful time far easier to handle. I would highly recommend them to anyone. 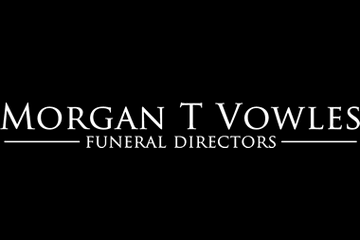 Morgan T Vowles Funeral Directors will provide you with a free obituary as part of their service.